You’ve had an excruciating toothache for a few days. Now that you’ve been able to get in to see our Wyndham dentists, it’s decided that the best option is to have your tooth extracted. Mainly, because there’s just not enough healthy structure left to restore. 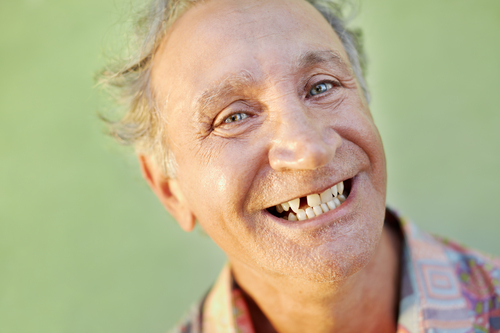 Removing your tooth provides timely pain relief. Each tooth is designed to have a biting partner in the opposite arch. But if one is removed, the tooth that bites against it may start to erupt further out of its socket, looking for a partner. Imagine taking a book off of the shelf at the library. What do the ones next to it do? And the ones next to that? They lean and tilt. The same happens when it’s your mouth, creating a chain reaction of tooth misalignment across your smile. Depending on your oral health and preferences, Wyndham Dental can help you replace your missing tooth by placing something like a dental implant or fixed bridge. Both help to maintain natural tooth spacing and function. Contact our dentists in Wyndham today to find out why families have been trusting us with their smiles for over 30 years!